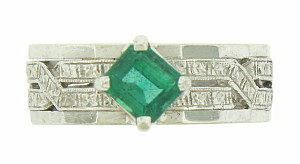 A square cut emerald is set on the surface of this vintage band. The deeply engraved surface features a woven cutwork chain design at its center. 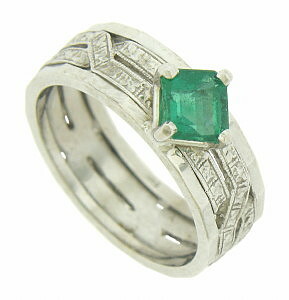 Crafted of 14K white gold, the vintage engagement ring measures 8.10 mm in width. 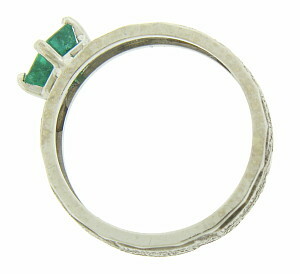 Size 8. We cannot re-size.